The Johto update for Pokémon GO is finally live! See what's changed and what that means for your Pokémon catching going forward. Johto finally arrived. The long-awaited update to Pokémon GO that adds over 80 Pokémon to the popular augmented reality game is now live. But along with the new Pokémon come a host of other improvements and changes that will drastically alter the way you play Pokemon Go. This Pokemon Go Johoto Update guide will cover everything we know about the changes made in the latest update so far and what they mean for the game going forward. For all things Pokémon GO, including tips, strategies, and guides, check out Pokémon GO: Guides, Walkthrough, Tips, and Every Detail. Johto Pokémon are now available to be caught in Pokemon Go. Once limited to just the non-legendary original 150, the main draw of this latest update is the addition of Pokémon from Second Generation Pokémon originally found in Pokémon Gold/Silver's Johto region. That's over 80 more Pokémon to catch in addition to the already existing ones. New Evolutions of older Pokémon change how they Evolve at all stages. Among those new Johto Pokémon are ones that stem from older ones. We've already seen the “baby” forms of certain Pokémon in a previous update, but now certain Pokémon like Seadra can further Evolve into even stronger forms. You can tell because now if a Pokémon has multiple Evolutions, it will have multiple Evolve buttons with a silhouette next to each. Because of this, the Candy requirements for previous forms are now reduced so that an even higher tier of Evolution Candy cost is put into place. Some new forms now require certain special items in addition to a Candy cost. How you get them is as yet unclear, but some of the silhouettes look like new Berries. 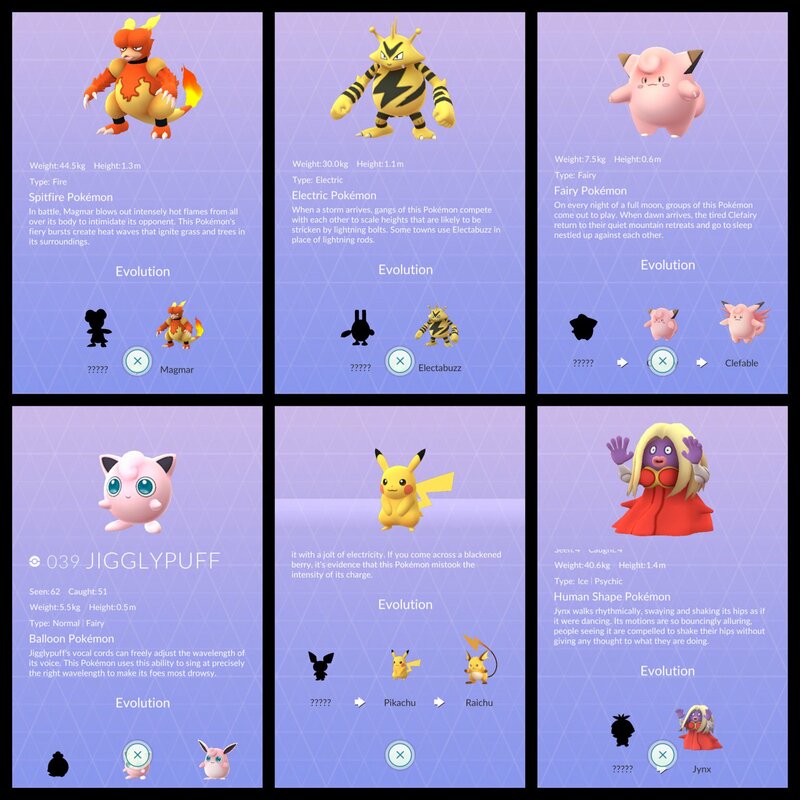 Keep your eyes open at Pokéstops for new items that might be used on these Pokémon. For more info on Espeon and Umbreon, the new Evolutions of Eevee, check out Pokémon GO Guide: How to Evolve Your Eevee Into Vaporeon, Flareon, or Jolteon [Johto Update: How to Get Umbreon and Espeon]. The interface for using Pokéballs and Berries is now much better and features new Berries. Now when you go to capture a Pokémon, you can simply touch the lower right side of the screen to switch between types of Pokéballs. Touching the lower left side will let you choose between Berries, which features the usual Razz Berry, plus two new berries. There’s the Nanab Berry, which calms Pokémon down so they don't thrash about, and the Pinap Berry, which doubles the number of candies you receive for the successful capture of a Pokémon. Pokémon will now sometimes move around the screen and dodge your capture attempts. You used to only need to throw Pokéballs at one spot on the screen, but now Pokémon will sometimes move around, adding more skill and timing into the practice of capture. The new Nanab Berries will calm their movements, though, so if you're bad at throwing at a moving target, you're going to want to stock up on them to mitigate. Pokemon Go now has a First Throw Bonus that gets you 50XP. Much like the bonus you get from performing a curve ball, capturing a Pokémon with just one throw will now get you even more XP. Again, stock up on Berries if you want to guarantee capture. Pokémon are now gendered in Pokemon Go. Until now, the only Pokémon in Pokémon GO that had gender assigned to them were the Nidoran variants. Now, most Pokémon are marked with a gender, with minor differences in the Pokemon models being added to differentiate them. While many of these changes are subtle (such as Murkrow’s crown being larger or smaller), Pokémon like Wobbuffet are a little more obvious. While gender only makes for minor visual differences in Gen 2, it paves the way for gender-related evolutions in future generations. Tagged with Android Devices,	Augmented Reality,	Guides,	ios,	Niantic,	Nintendo,	Pokemon. Night School Studio was working on a mobile Stranger Things game for Telltale as well. How Sekiro: Shadows Die Twice and Devil May Cry 5 Are Empowering For Those Who Live With Prosthetics The gamified prosthetics in Devil May Cry 5 and Sekiro: Shadows Die Twice are actually closer to reality than one might think. Dragon's Dogma on Switch Proves We Need More PS3 and Xbox 360 Ports Bring it all back. I'll buy it again. "Shovel Knight is Not Done:" Yacht Club Games on the Road to King of Cards and Beyond Five years after its original release, we catch up with Yacht Club's Sean Velasco to talk about delays, lessons learned, and the future of Shovel Knight.